Capture of Khaldiya neighborhood in the central Syrian town of Homs brings regime one step closer to control of entire city. The Syrian army has retaken the Khaldiya neighborhood in the central Syrian town of Homs, after the area was held by rebel forces for over a year. With the capture of the neighborhood, the Syrian army is now in almost total control of the city. The Khaldiya area was one of the longest-held by Syrian rebels, and had been seen as a symbol of the rebels' success against the army of Bashar al-Assad. 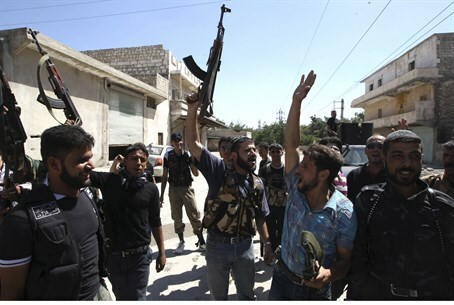 In recent months pro-regime forces have made great gains in pushing back rebels in many areas of the country, although the rebels are still a formidable force. According to the United Nations, over 100,000 people have been killed in the last 28 months in Syria, 7,000 in the last month alone. At least 1.7 million Syrians have taken refuge abroad, mostly in Jordan and Turkey, as a result of the conflict.